Once we had picked up our car we decided to leave it in the car park, go off and check out our final sightseeing spots and retrieve the car later. 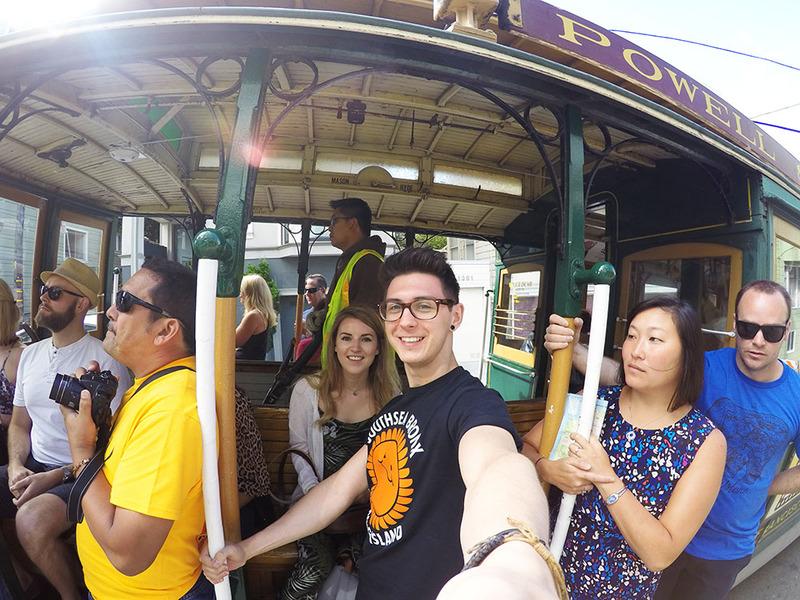 One of the things Luke had mentioned once or twice was the Cable Car Museum. I google mapped it and it said it was only about a 15 minute walk away, easy! 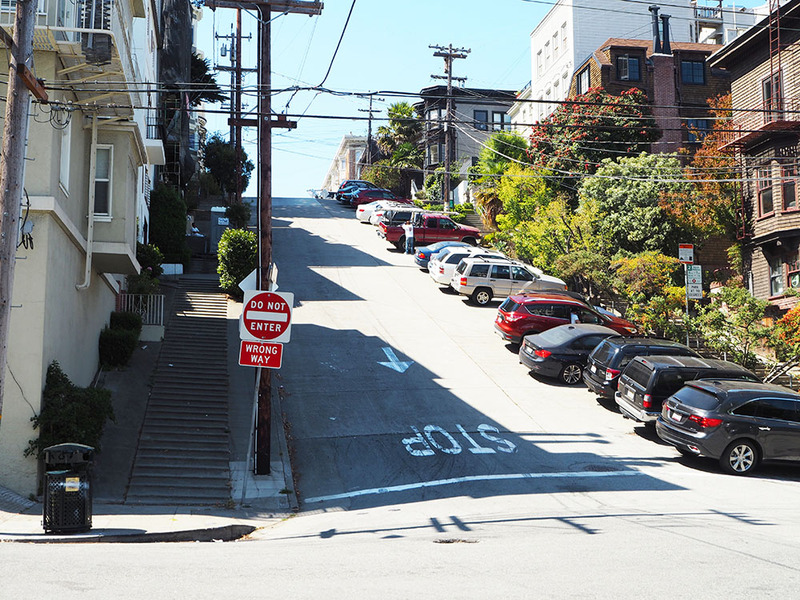 San Francisco is hilly and it was about 27 degrees. That was an extremely long and tiring 15 minutes. But we made it! 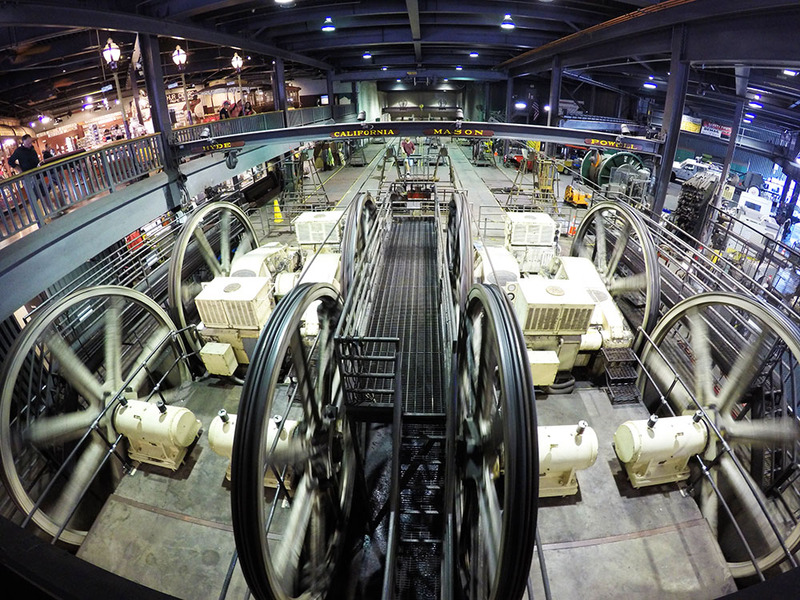 The cable car museum is free to enter (you can make a donation) and is great to visit if you fancy reading a bit of the history of the cable cars, and seeing how they actually work. The picture above of the big wheels show how they are moved around the city on these huge pulley wheel systems. It’s quite loud and hot in there but it’s absolutely fascinating to see how it all works and to see some of the old cars. I would highly recommend giving this some of your time if you visit San Francisco. 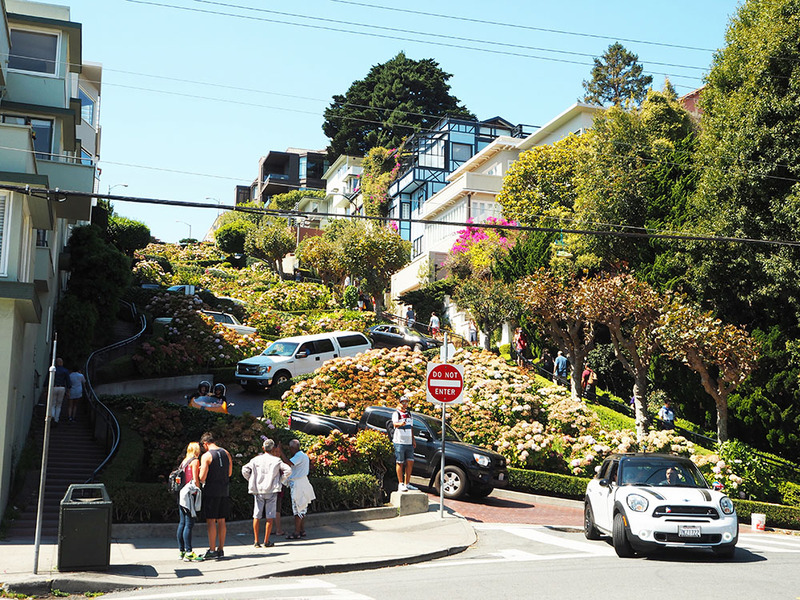 Next on our sightseeing hit list was Lombard Street, the most crooked street in the world. Again we walked from the Cable Car Museum so we arrived a bit hot and bothered. It was rammed with people when we got there around midday so if you want a people-free shot maybe go early in the morning. We then carried on walking back to our hotel and made sure we would be able to stop off there to pick up our bags, before thinking, how are we planning on getting back to Union Square? 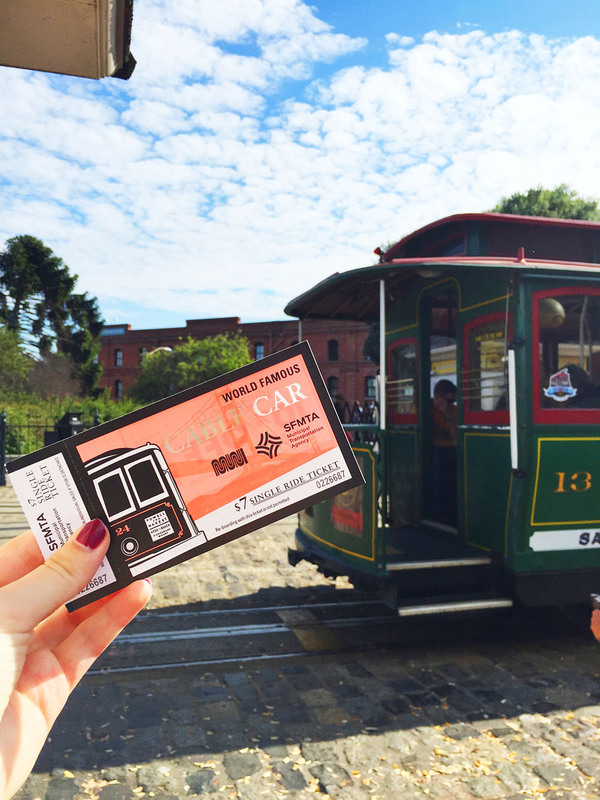 Someone had mentioned to us that you could use your single ride cable car ticket on the F line historic streetcars. Eager to get a bit more of the San Francisco life into our last few hours we decided to hop on. They’re all retro inside and it was another great (and cheap) way to get around the city. 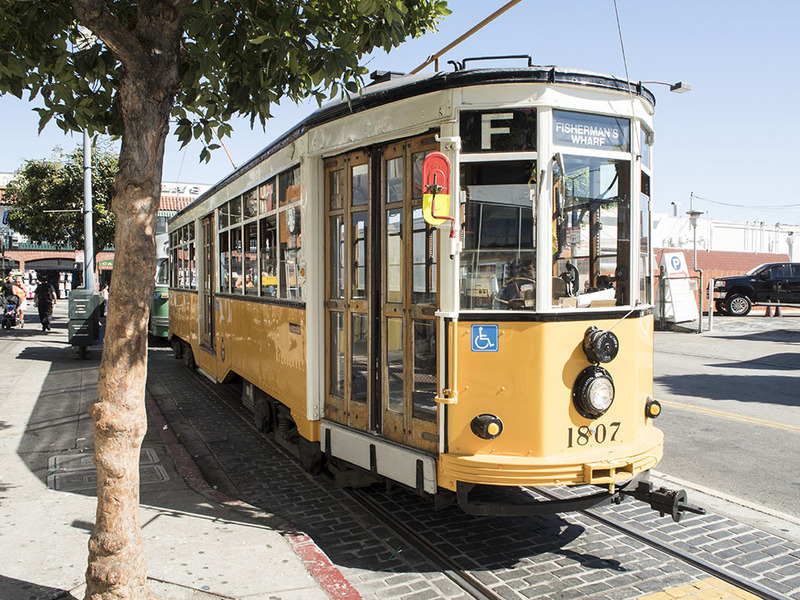 The only thing was that it took ages for us to get from Fisherman’s Wharf back to Union Square on it, so bear that in mind if you’re thinking about riding one. After we picked up our car we made sure our first stop was to drive down the crooked street, before heading back to the hotel to collect our bags. 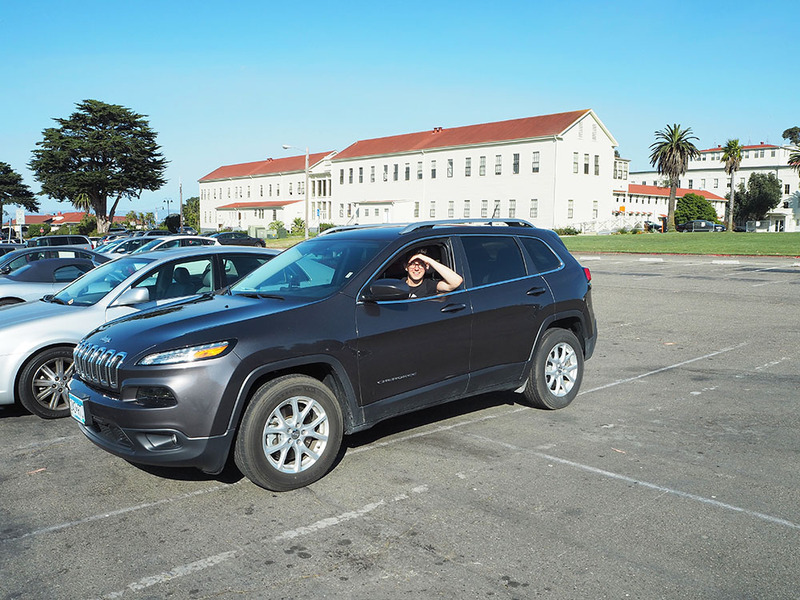 The final stop on our whirlwind last day was the Presidio. It’s an area not in the city centre but more over towards the Golden Gate Bridge. 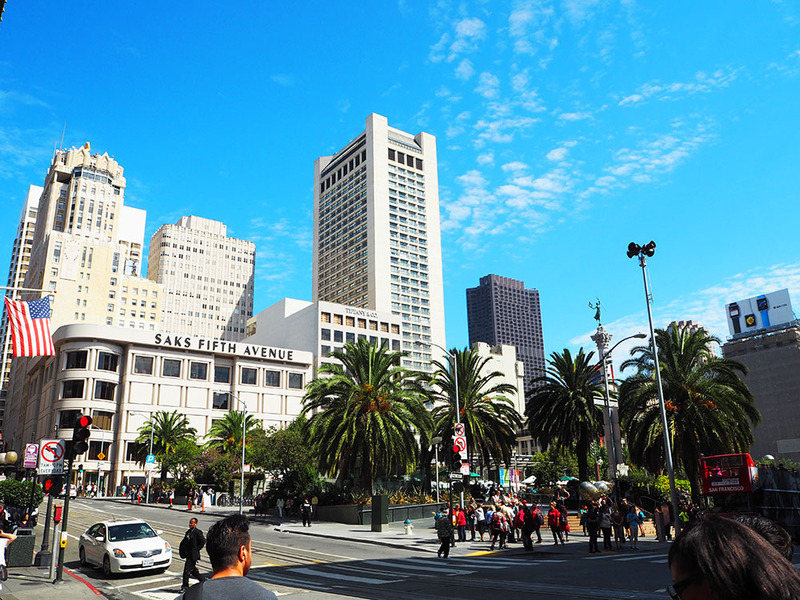 I hadn’t visited it on my previous trip to San Francisco and the only reason me and Luke saw it was because the night tour bus took us through it the previous night. We weren’t able to get off on the tour so we said to each other we would go back the following day to see it. 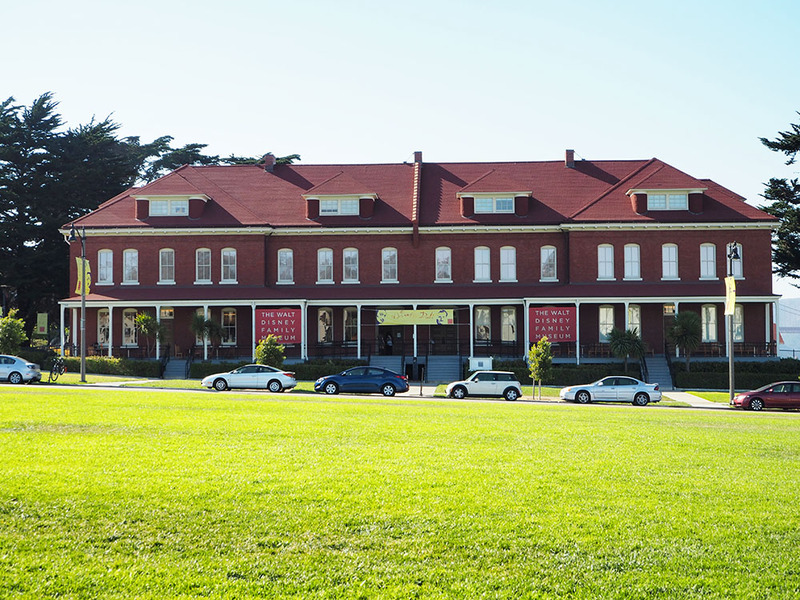 One of the main things we spotted was the Walt Disney Family Museum. Luke had looked this up before we went and we were planning to fit it in if we had time, but when we went in it said it would take a couple of hours to see the whole museum. With a 4-5 hour drive ahead of us to Yosemite and it already being around 4pm we just didn’t have the time. This is 100% on my must-do list for next time though! 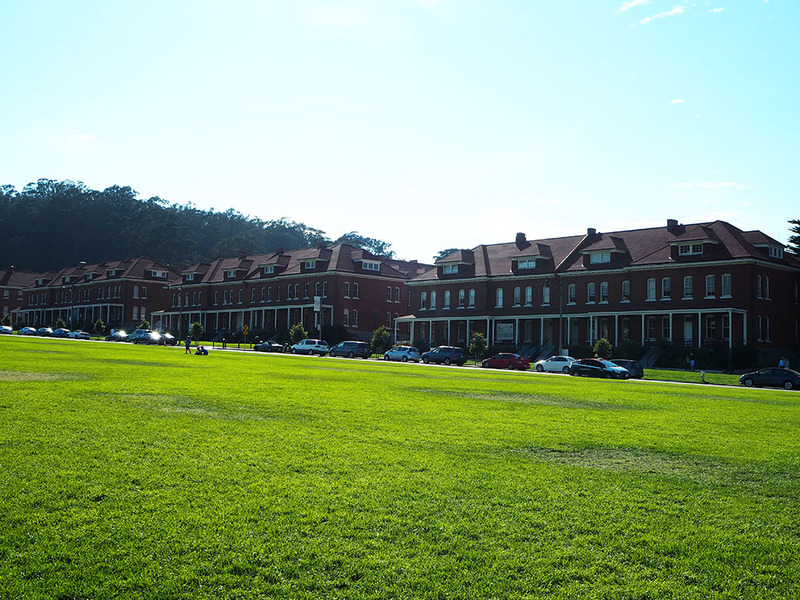 The Presidio area is a beautiful place to wander around as it’s a former military base so the buildings are like nothing I’ve ever seen before. It’s also a park so there’s huge expanses of grassland and there were loads of school kids playing football and training while we were there. Apparently they have a weekly evening picnic at certain times of the year which we actually saw happening from the tour bus. There are loads of food trucks, bonfires and chairs set up for people to come and hang out and enjoy. I think this article explains a bit more. Another thing definitely on my hit list for next time. Also in this area is George Lucas’ offices, there’s even a Yoda fountain which I managed to spot from the car! 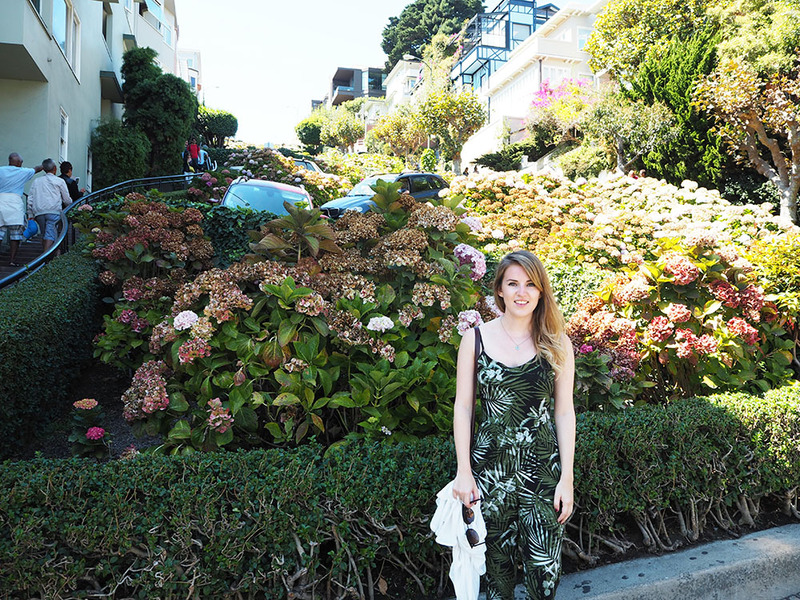 Sad to leave but excited for our next adventure we waved goodbye to San Francisco and set out on our way to Yosemite! 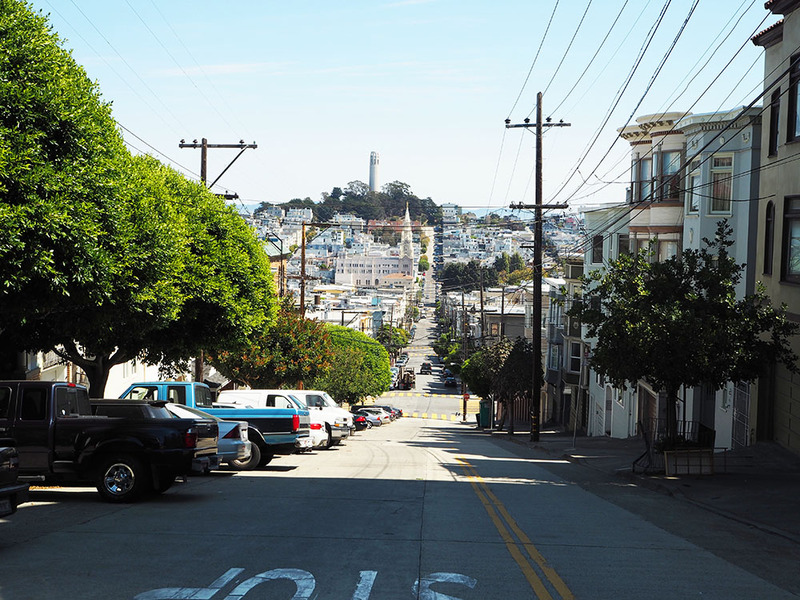 Don’t worry though San Francisco, we will one zillion percent be back again some day, you absolute beauty you!